4. Art History Day in Rijeka – Do we understand the needs of the audience? What is the role of museums in the contemporary society? How does the museum communicate with the audience? How important is visual communication? These are the questions Art History Day 2014 tried to answer. The program featured lectures, workshops, discussions and guidances, comprising various aspects of the communication between the museum and the society. The program continued throughout the evening in the City Hall, where Milvana Arko-Pijevac from Croatian Museum Society presented great results from the Night and Day of Museums initiative, and Morana Matković presented Lauba, a house for art and people, as a dynamic institution with a variety of interesting activities, completely opened and adjusted to the public. Representatives of Kombinat also held a presentation, under the title Do we understand the needs of the audience? Without claiming to know the right answer, we tried to form appropriate and relevant questions – why and for who do we do the projects that we do – while focusing on the media we use to reach the audience (particularly visual communication), and which contribute to the public visibility of given institution or collective. 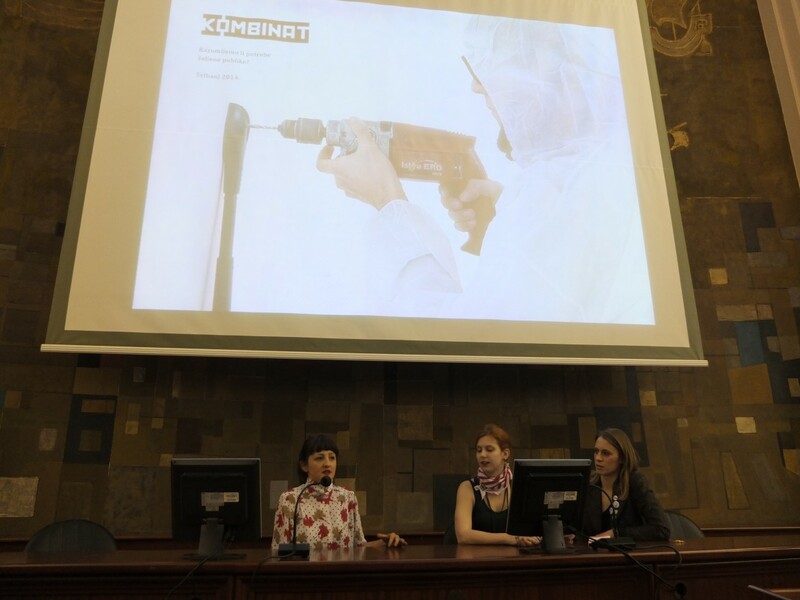 Kombinat completely agrees with the conclusion of the discussion held by the organisers of Art History Day that the communication between museums and the audience does exist, but the more serious problem is the visibility of museums in the society. The museums have to better their marketing and slowly but surely break the image of themselves as a temple and create an image of themselves as a forum. With a deep belief in museums and public spaces as places of getting to know one another, places of companionship and participation of citizens of various interests and professions, which contribute to significantly better communal life, we would like to thank the organisers of Art History Day who, along with the mentioned guests (whose work, we believe, immensely advances public participation in cultural life), called Kombinat to present its work in the same spirit. Započeli smo s radom na jednom super uzbudljivom projektu!Drago nam je što zajedno s Pomorski i povijesni muzej Hrvatskog primorja Rijeka i još četiri udruge (Žmergo Udruga, Centar za poticanje darovitosti/ Centre for Gifted Children, Udruga slijepih PGŽ-a i Matica umirovljenika) činimo Građansko muzejsko vijeće i tako sudjelujemo u stvaranju Muzeja budućnosti. The opening of the exhibition Biodiversity matters!